The Utah Division of Wildlife Resources (DWR) approved Hunter Ed Course as one of their official online hunter education course options. The Utah Division of Wildlife Resources (DWR) approved Hunter Ed Course as one of their official online hunter education course options. All hunters born after December 31, 1965 are required to complete hunter education prior to obtaining a hunting license in Utah. After an extensive review of the course to ensure it meets the Utah DWR guidelines to produce safe and ethical hunters, Utah DWR added Hunter Ed Course to provide Utah hunters with a low price and streamlined, comprehensive learning system. Priced at only $13, it is the lowest cost online narrated course on the market. Utah Hunter Ed Course is available at http://www.HunterEdCourse/state/Utah. 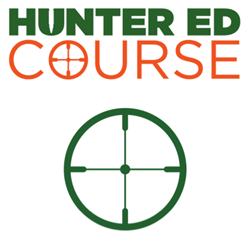 Hunter Ed Course provides an easy, but comprehensive learning process for hunter education. The course features lessons on hunter safety, legal hunting and responsible hunting practices. The learning is delivered with narration, closed captioning, photos and interactive animations so the learner is able to hear, read, see and interact with the content. Unique to Hunter Ed Course is the use of photos that replicate what a hunter will actually will see in the field creating a safer hunter. To complete the full hunter education certification process, a prospective hunter must complete the online course and then attend a field day to demonstrate safe gun handling skills. Upon completion of the online hunter education course, the user just prints a completion certificate that they take to the field day to confirm they have completed the classroom portion of the Hunter Education course. By taking hunter education online, a hunter has the added convenience of learning when and where it is convenient for their schedule. Because the course meets Utah and IHEA-USA guidelines, a hunter who completes Utah Hunter Ed Course training will receive a hunter education card that allows them to be certified to hunt in all US states and Canadian provinces. The Utah specific Hunter Ed Course is available online at http://www.HunterEdCourse.com/state/Utah for only $13. Hunter Ed Course is a Michigan-based online Hunter Safety training company committed to ensuring the lifestyle and heritage of hunting in America through easier access to the sport with a low cost online hunter education training available at HunterEdCourse.com.